I connected a TEC1-12705 to +12V and -12V of a PC PSU (+12v rated 45A, -12v rated 0.5A) then the PSU died. I inspected the PCB and found no burnt traces. What could be damaged? The −12V rail on PC power supplies is not designed to sink large currents. It's usually limited to well under 1 A, often even 200 mA or less. Injecting a current of 5A or more from the +12V rail is likely to have damaged the −12V regulator. As this appears to be a cheaply built PC power supply, the most expedient solution will be to replace the unit. Testing and replacing individual components will not be cost-effective, and may cause further damage. Additionally, the TEC you are using is rated for a maximum voltage of 16.2 V. Exposing it to 24V may have caused irreparable damage to the TEC as well. Not the answer you're looking for? Browse other questions tagged power-supply or ask your own question. Can I get 24V from ATX PSU using 12V and -12V cables? 24V ceramic heater to work on 12V? Required Power Supply Driver for Peltier Module TEC12715? 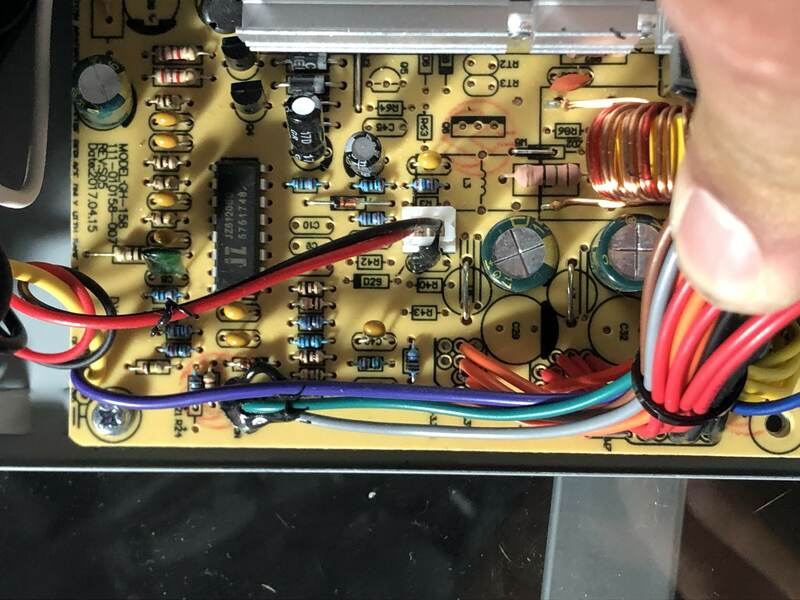 Can I replace a 33uF 100v Electrolytic Capacitor with a 47uF 400v Electrolytic Capacitor?